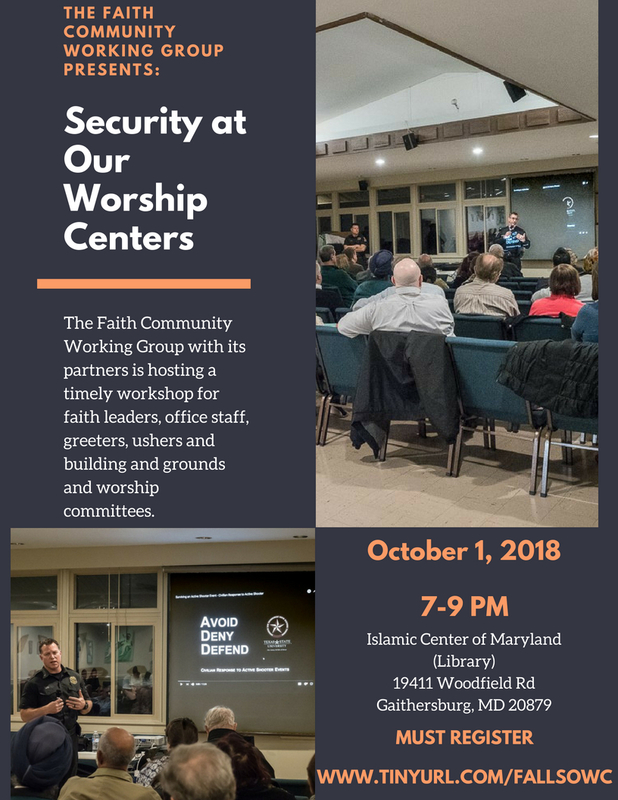 All programs are open to all leaders of faith communities. 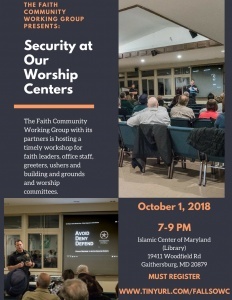 The Faith Community Working Group with its partners is hosting a timely workshop for faith leaders, office staff. greeters, ushers and building and grounds and worship committees. 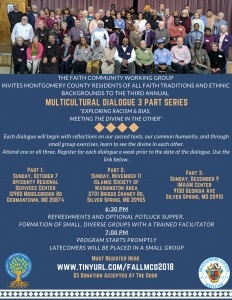 The Faith Community Working Group invites you to join our third annual Multicultural Dialogue Series. Participants will engage in anti-bias exercises with a trained facilitator. Potluck begins at 6:30 PM. $5 donation for materials & use of the space would be appreciated at the door. The exercises in this series of dialogues develop from first to third. 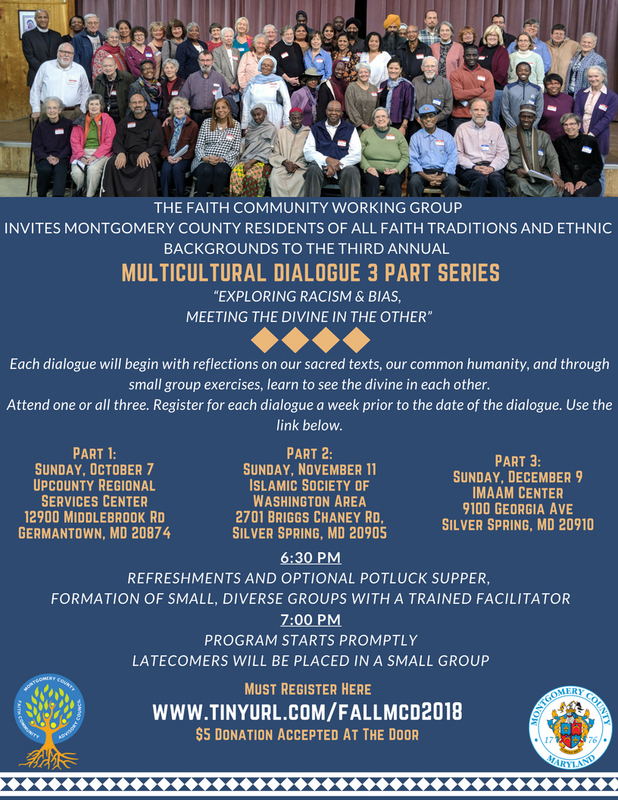 We encourage you to attend this dialogue and consider attending the second and third dialogue. 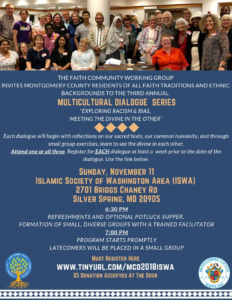 A community based information sharing and discussion forum. 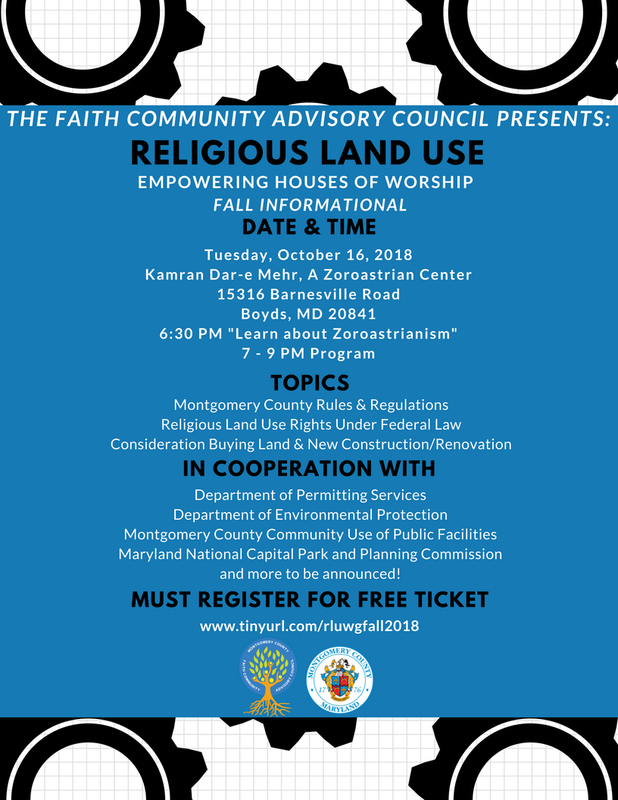 Come to learn about the process and flow for applying for a building permit in Montgomery County, Maryland, and your rights under the law. Come at 6:30 PM for a tour of the center and to learn about Zoroastrianism! small group exercises, learn to see the divine in each other. 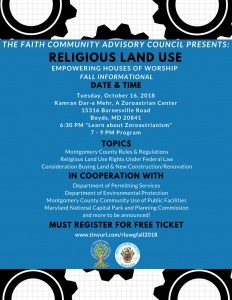 The Neighbors in Need Working Group in collaboration with the Montgomery County Food Council presents a Hunger Forum to inform and engage faith communities in effectively caring for the hungry.Special presentations by County Executive Ike Leggett and Geographic Information Systems (GIS) will premiere the Mapping of Faith Communities in Montgomery County.